Where and when to "talk turkey"
From the traditional wing-bone turkey call used for generations to the newest high-tech calls, Hickoff gives tips and tactics for everyone who hunts the turkey woods. 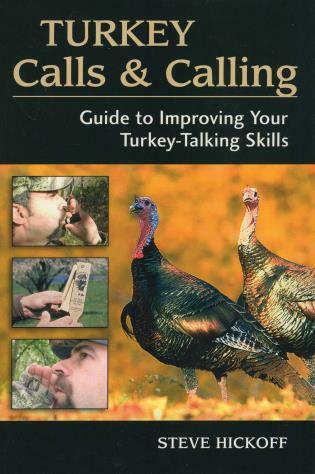 Instructions on how to make your own calls and how to call in wild turkeys will enhance every hunter's ability to identify and make situational and seasonal vocalizations. Covers competition calling, caring for calls, and finding call makers. Steve Hickoff hunts wild turkeys around the country. His work has appeared in Turkey Call, Turkey & Turkey Hunting, and Turkey Hunting Strategies, among many other publications. He lives in Kittery, Maine.